Estimated costs are based on hourly standard rates. 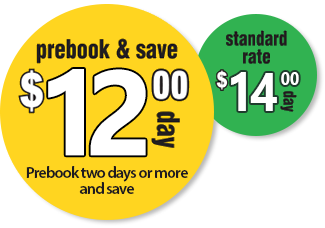 If duration of pre-booked stay is more than two days, a "prebook discount" is applied to your final total. All rates are subject to change without notice on this web site. Your final total may vary based on length of stay and current rates. All Taxes Included. No Hidden Fees. Free Reservations. No Credit Card Required. Reservation not found. Please try again. An email has been sent to the address provided confirming your reservation. Midway Park Saver provides a highly convenient and secure place to park your car with the lowest rates available at Chicago's Midway Airport! Unlike the airport's "Economy" Parking Lot, at Midway Park Saver you'll never be inconvenienced waiting for a shuttle bus to carry you to or from the airport. Located on 59th Street, just across the street from Midway Airport's new terminal building. 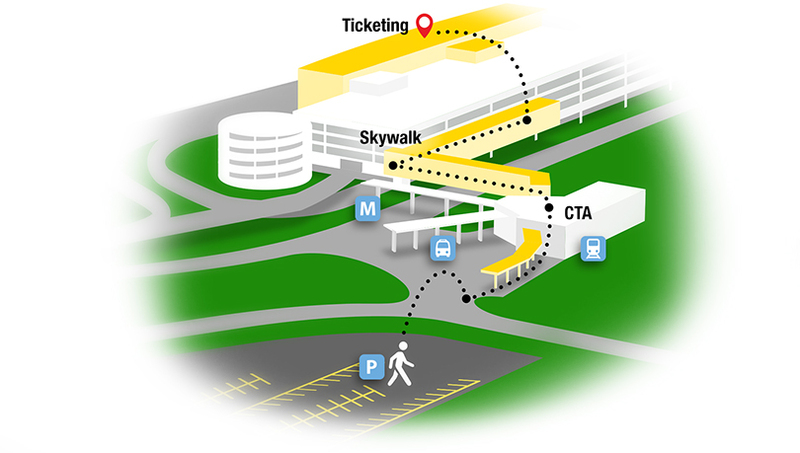 From the front of our parking lot, simply cross the street into the airport skywalk. Total time from the front of our parking lot to the airport ticket counters is less than seven minutes. We do provide a complimentary in-lot shuttle bus to carry you to the front of our parking lot. We wish you a safe and enjoyable trip. Take I-55 N to Cicero Ave.
© 2015 Midway Park Saver. of two (2) days or more.